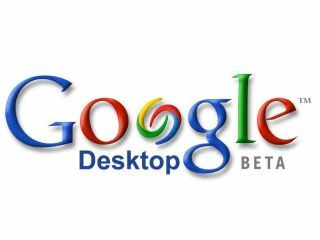 Google has released a beta version of its Google Desktop 5 search tool, with a number of new features. A better-looking sidebar menu which adapts itself to your desktop is the main improvement. A free tool that finds files and documents on a computer, the new sidebar menu will discreetly blend into your desktop's wallpaper. It's also become easier to personalise the information you want the menu to display. Google Desktop 5 will allow users to preview search results inside the browser, instead of opening up applications such as Microsoft Word or Microsoft Excel to display files. The support for Google Gadgets has also been improved. These are mini applications which can be placed anywhere on the desktop, displaying information such as news via RSS or local weather forecasts. Security has been beefed up as well. The application will now warn users if they click on suspect web links that may lead to phishing sites where sensitive information could be stolen from the user. Many users are critical of Google Desktop however, suggesting that it compromises a computer user's security by allowing searches on multiple computers on a local network. The information that Google Desktop collects is sent for storage on Google's servers. Google has admitted that the desktop search application may be a security risk in certain environments. The company stated that it is up to companies themselves to decide whether they want to use the search function on their own internal networks. The Google Desktop 5 beta is now available to download. You'll need Windows 2000 SP3 or higher, Windows XP , or Windows Vista to use it.